Hyaluronic acid helps give skin a smooth appearance but is depleted over time. 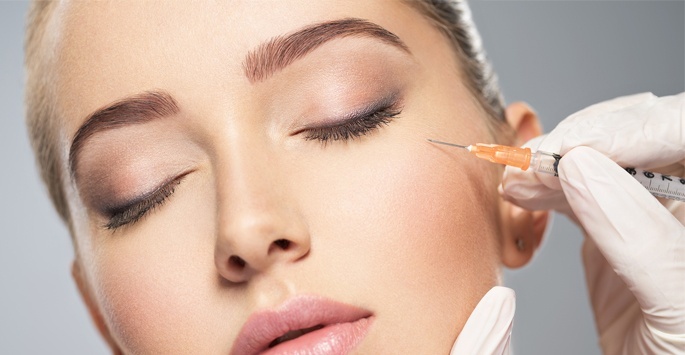 One way of replacing this substance is through Restylane® Lyft (formerly Perlane®) injections, which are available to those who live in Jupiter, West Palm Beach, and Palm Beach County by visiting Supriya Aesthetic Dermatology. Those who are looking for an injectable filler with few side effects may want to consider Restylane® Lyft. This treatment is considered very safe and can be used in a number of areas of the face to diminish the appearance of wrinkles. Restylane® Lyft is a substance made from NASHA, which is non-animal stabilized hyaluronic acid. This is a natural ingredient that is normally found in healthy skin tissue. When injected into the skin, it helps to supplement the patient’s own supply of this acid, thereby providing a younger appearance. It is absorbed by the body over time. How can Restylane® Lyft be used? What are the advantages of Restylane® Lyft? What are the disadvantages of Restylane® Lyft? The skin will first be cleansed and dried before applying a topical anesthetic. Once this takes hold, a syringe containing the Restylane® Lyft solution will be injected into precise areas of the face. The amount administered will vary based upon the area being treated and the severity of the wrinkles. The numbness from the anesthesia wears off in only a few minutes, at which time the patient is able to leave the office and return to normal activities. The overall process takes between 30 and 60 minutes. Skin rejuvenation treatments are considered to be elective, so most insurance providers won’t cover the costs. To help make Restylane® Lyft affordable and accessible for everyone, Supriya Aesthetic Dermatology offers financing options via CareCredit®. We also accept cash, personal checks, and major credit cards. Contact us today if you have any questions about the cost of Restylane® Lyft. Dr. Supriya Tomar is a board certified dermatologist and expert injector of Restylane® Lyft for patients in Jupiter, West Palm Beach, and Palm Beach County. She has been doing injections for over 10 years and one of the busiest injectors in Palm Beach. She is well known for giving her patients beautiful and natural results and is a recipient of the Platinum Award from Medicis, the makers of Restylane® and Restylane® Lyft.